Let’s start with the obvious. 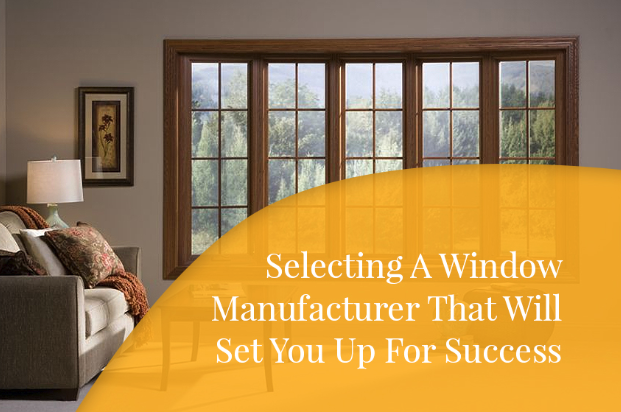 You want to sell and install more windows, as well as sell more windows related products. The more you sell, the more you make, the better your life is. So far so good. How do you sell more windows? You could cold call random strangers. You could attend expos. You could hang flyers on people’s doors. Or you could tap into one of the most powerful marketing tools in existence: email. Despite the massive spread of social media, email marketing remains incredibly effective. In fact, it’s estimated that for every $1 you spend on email marketing, you get a return of $38. That’s a whopping 3,800% ROI. It’s been demonstrated time and again that email marketing is more powerful than social media platforms like Facebook when it comes to acquiring customers and generating revenue. So how exactly do you get started in email marketing? This guide is going to break down everything you need to know, from building an email list to making the final sale. What Exactly Is Email Marketing? First, let’s make sure we’re all on the same page regarding email marketing. When we say, “Email marketing,” we simply mean using email to acquire new customers, generate more sales from existing customers, and win back old customers. Not complicated, right? Now, to be clear, email marketing is not the same as email spamming, which typically involves shady offers and unethical email collection tactics. 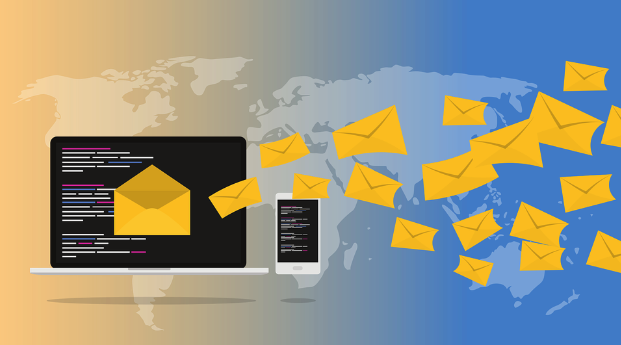 Rather, email marketing involves collecting people’s email addresses in appropriate, ethical ways, and then promoting relevant offers to the individuals on the email list. It’s critical that the offers promoted via email be relevant to those on the list. If they’re not, people will quickly unsubscribe and you simply won’t make any money from email marketing. The simple truth is that email marketing thrives on relevancy. Email marketing has several distinct advantages over other forms of marketing, like social media marketing or search engine optimization. 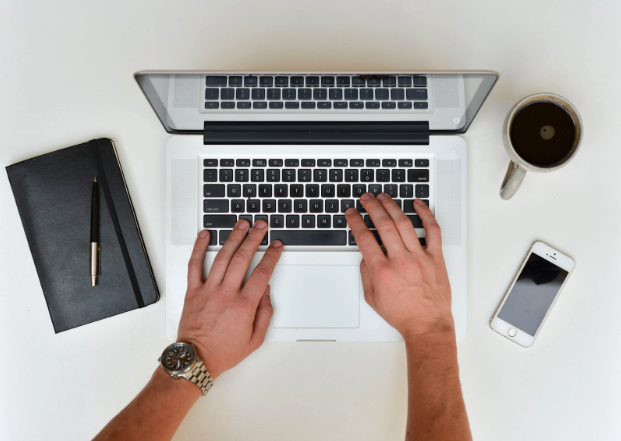 First, emails can be highly personalized to match the needs and desires of the recipient. Again, this goes back to relevancy. You can segment your list based on a variety of factors so that only the right offers go to the right people at the right time. Unlike social media marketing, in which you simply post something and everyone sees it, you can be very selective in terms of who receives your emails. Second, emails still have a unique power to get people’s attention. Unlike social media feeds, where people scroll through their feeds at a rapid pace and give little attention to what they see, people still view their inboxes as important. When you send someone an email, you have their attention, even if it’s just for a brief moment. Finally, compared to other marketing tools, email is relatively easy. Email marketing tools have been around for years and have evolved to the point where just about anyone can use them. All of these tools offer similar services and make it relatively easy to get started with email marketing. Some even offer templates for you to use to speed up the process. The bottom line is that even in our social media age, email marketing is still a highly effective way to win new customers and engage with existing ones. And with the barrier to entry very low, you’d be foolish not to use it. At this point, you may be thinking, This is great and all, but I don’t have an email list. How do I get started? Thankfully, it’s not difficult to build an email list these days. With just a little bit of effort, you can quickly start collecting the email addresses of interested prospects. The key to building an email list is something called a “lead magnet”. To state the somewhat obvious, a lead is the contact information of an interested prospect and a lead magnet is something a business uses to attract new leads. Typically, a lead magnet is a free resource that you give away on your website in exchange for someone’s contact information (minimally, their email address). It could be a free guide to minimizing heat loss in the winter or a checklist for choosing the right windows for a new house. It could be a free quote for replacing windows on a house. Whatever the case, you’re offering something of value to the potential customer in exchange for their email address. When they enter their email address, you then send them the lead magnet via email, thus initiating the email marketing process. It’s critical that the lead magnet offer value to the potential prospect or they’ll never give you their contact information. Digital Marketer describes a lead magnet as, “...an irresistible bribe offering a specific chunk of value to a prospect in exchange for their contact information.” The more irresistible you make your lead magnet, the more email addresses you’ll collect through it. Where should you give away your free lead magnet? Ideally, in as many places as possible. Make it available on the homepage of your website. If you have a blog, get readers to take action on it. You could even set up a single page dedicated solely to the lead magnet and try to drive as much traffic to the page as possible. If you really want to speed up the growth of your email list, you could spend some advertising dollars on Facebook or Google and promote your lead magnet. This is an outstanding way to quickly build an email list of highly interested prospects. Simply make it your goal to promote your lead magnet as much as possible and in as many ways as possible. You may even want to consider adding a link to it in your email signature. The more people see your lead magnet, the faster your email list will grow. What Types Of Emails Should You Send? 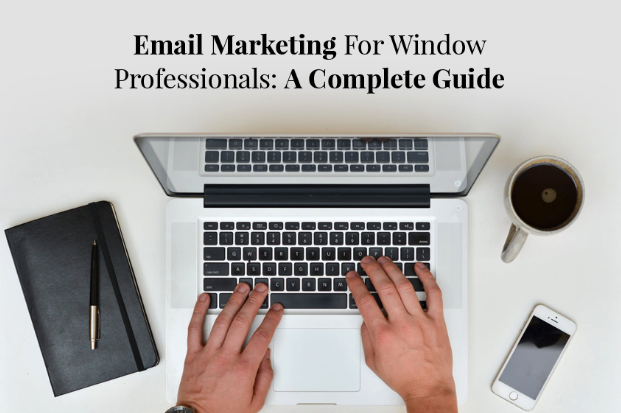 Once you’ve built an email list, it’s time to get down to the business of selling windows via email marketing. What you may not have realized, however, is that you’re not simply sending out random emails with different windows offers. That kind of “untargeted” emailing won’t generate the kinds of sales you’re looking for. Rather, you’re going to be very specific with the types of emails you send and who gets what type. Generally speaking, you’re going to be sending out five different types of emails, with each type of email going to a different segment of your email list. In other words, not everyone on your list will be getting every email you send. The emails people receive will be based on where they are in the buying journey. Yes, the word “indoctrination” does sound a bit odd, to say the least. Perhaps it would be better to call these emails “Get To Know Us” emails. The point is that these emails help people get to know you better. When someone first gets on your email list, there’s a good chance they don’t know much or anything about you. And the reality is that they won’t buy any window-related services from you until they feel like they know you and can trust you. Hence the need for at least a few indoctrination emails that let prospects get to know more about you. Who are you? Be personal when you introduce yourself to people on your email list. Imagine meeting someone in person and telling them about your business. What’s your story? How long have you been in business? Are you a family owned business? Do you have multiple locations? Your goal is to help potential customers get a sense of familiarity with you and your business. What do you stand for? There are many windows professionals in the world. What do you stand for beyond simply selling windows? Do you only sell the highest quality? Do you deliver exceptional customer service? Do your windows hold up better in extreme temperatures? You want to help potential prospects see that you truly care about your business and customers. What makes you different? This is a variation on the above question. With all the windows professionals in the world, why should potential prospects buy from you? What do you offer that no one else does? Think about how you can differentiate yourself from your competitors. You want to give potential customers a reason to buy from you and not them. What should they expect from you? When it comes to being on your email list, what should they expect? Expert tips on how to best maintain their windows? Occasional offers on great products? You want to give them a sense of what’s to come. If, for some reason, they don’t want to be on your list, you also want to give them the option to unsubscribe as well. How often should they expect it? Will you be sending them an email once a week? Once a month? Several times per week? Again, you want to give your prospects a sense of what they can expect if they’re on your email list. You might be able to answer all these questions in a single email, or it might take a few. Don’t feel like you need to cram everything into one email. Spacing it out over two or three can be just as effective. Again, your primary goal with indoctrination emails is to help the people on your list get to know you better. 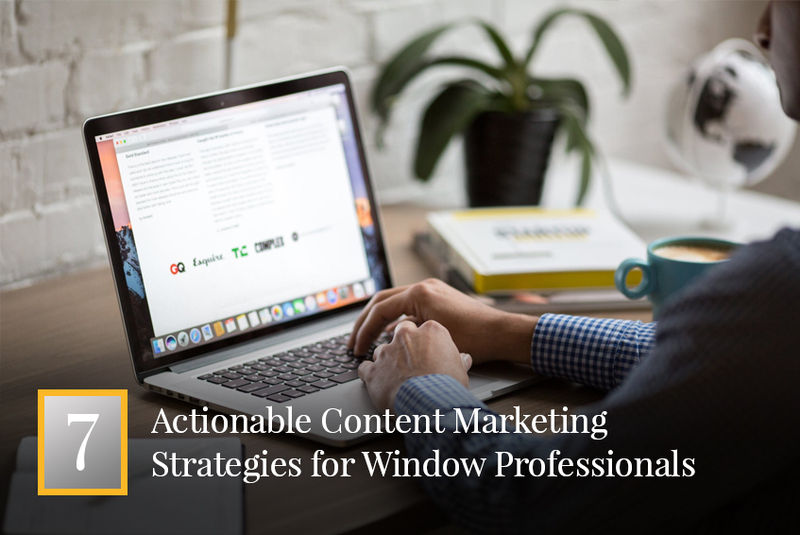 Eventually, you’re going to offer them window products and services, but not right away. First, you need to build trust. After you’ve sufficiently “indoctrinated” a potential prospect, you can begin sending them engagement emails. This is the stage where you invite them to engage in some way with your business. In other words, you’re inviting them to buy from you. It’s important to note that you don’t send engagement emails until you’ve first sent the indoctrination emails. Prospects need to be warmed up if they’re going to purchase from you. Sending the engagement emails too soon can be a big turn off. These engagement emails can take a variety of shapes and forms. The primary goal is simply to nudge people toward taking action. For example, you can send them offers directly, such as 20% off a certain brand of high-quality windows. Or, you can ask them what types of products and services they’re interested in, and then have different offers that automatically send depending on what they click on. (If this sounds complicated, don’t worry. Most email marketing services make it really easy to do this). Or instead of directly sending offers, you can send something valuable, such as a free guide to minimizing heating loss. If someone downloads the guide, you can then offer them a discount on windows specifically designed to minimize heat loss. The strategy of sending value first and only then making an offer can be particularly effective (more on this below). Whatever you choose, remember to treat the people on your list with respect. Yes, you want to convert them from prospects into customers. But if your strategy is to constantly bombard them with offers, you’ll probably just frustrate them. Giving them a mix of value and offers is probably the most effective way to ensure the people on your list feel valued and respected. If someone does purchase from you, you can begin sending them ascension emails. To be clear, these only get sent to those who have engaged with one of your offers. Ascension emails are designed to get someone to “ascend” up the purchase ladder. There is always a segment of your email list who will buy more from you, and ascension emails are intended to resonate with that segment. For example, let’s say that someone purchases energy efficient windows from you. Assuming you haven’t installed them yet, an ascension email could offer them a discount on more expensive, but even more energy efficient windows. Or an ascension email could promote a specialized coating that cuts down on the amount of heat that can leave the house. A person has already demonstrated that they’re willing to purchase from you. Ascension emails seek to get them to purchase even more. It’s where you offer additional value to customers who have already pulled out their wallets. Let’s say that a prospect is opening your engagement emails but isn’t converting. Instead of just continuing to send them different offers and hoping one sticks, you need to send them a segmentation email. Segmentation emails are designed to get prospects to identify themselves just a little bit more. To volunteer more information about themselves so that you can then send them more narrowly defined engagement sequences. 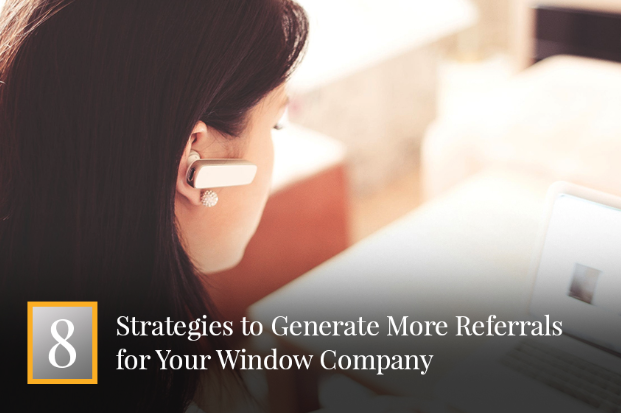 For example, you could send a segmentation email that offers a free guide to help people determine when it’s time to replace their windows. If a person downloads that guide, it’s a signal that they may be interested in replacing their house windows. You can then send them a more narrowly defined engagement sequence that focuses exclusively on replacing windows. The odds of them converting on this engagement sequence are much higher since it’s so narrowly defined. Another way of segmenting your list is to include a number of offers in a single email and then segment people based on which offer they click. Even if they don’t actually convert on the offer, the fact that they clicked on it is a signal that they’re interested in it and that you should send them more information about it. Your goal with segmentation emails is to find out more about what a prospect is truly interested so that you can follow up with relevant information. If you can segment your list effectively, you can significantly raise your overall conversion rates. 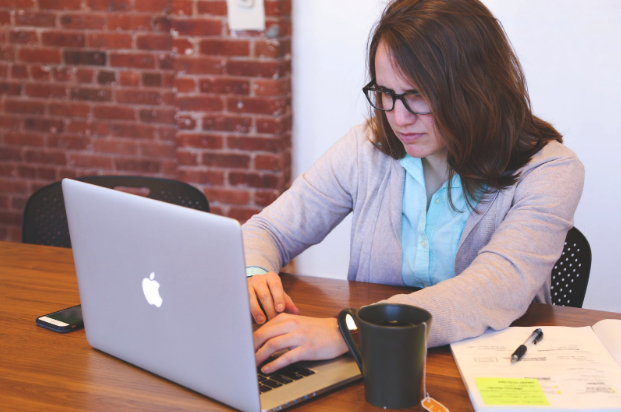 If prospects stop opening and clicking your emails altogether, it’s time to determine whether they really are interested in what you have to offer. If they are interested, you want to re-engage them. If they’re not interested, you want to prune them from your list. The simplest way to do a re-engagement email is to directly ask them if they’re still interested in receiving emails from you. If they don’t open the email (or click “no”), it’s a clear sign that you can remove them from your list. If they click “yes”, then you obviously want to keep them on your list. Another option is to offer something of high value in order to win them back. This could be something a significant discount on a product, a free in-person inspection of windows, etc. Essentially, you’re offering something so valuable that if they don’t take action on it, it’s a clear sign that they’re not interested in what you have to offer. You may be thinking, But why would I ever want to delete someone from my email list? Two reasons. First, most email marketing companies charge you based on the number of subscribers you have. If you’re paying for a large number of uninterested subscribers, you’re simply wasting money. Second, if Gmail (or other any other mail provider) sees that a large number of your emails are not being opened by people, they’ll begin to mark them as spam. Even if you send emails, no one will see them because they’ll automatically be moved to the spam folder. By ensuring that most of your emails are being opened, you’ll keep your deliverability rates high. In addition to sending out the five types of emails mentioned above, you’ll also want to send out “broadcast” emails on a semi-regular basis. Broadcast emails aren’t part of a particular sequence. Rather, they stand apart as separate units meant to communicate something specific to your email list. 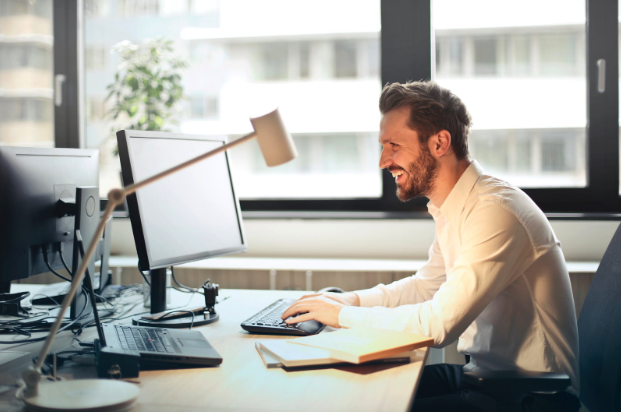 Think of broadcast emails as a way of staying connected to your email list even if they’re not part of a particular email sequence. It’s a way of maintaining an ongoing relationship with them. When they’re finally ready to purchase something, you’ll be at the forefront of their minds. If you’re feeling overwhelmed by all this, don’t. The truth is that implementing email marketing is a process that takes time. It takes time to write indoctrination and engagement and segmentation emails. It takes time to set everything up in your email marketing service. You don’t have to implement everything immediately. Even implementing just some of the steps above will be a step in the right direction. The most important thing is that you take some action. Email marketing is incredibly powerful, and if you’re not doing it, you’re leaving money on the table. Remember, it has an ROI of approximately 3,800%. That’s probably higher than just about every other marketing activity you’ll invest in. You don’t need to overcomplicate things. Even if you just have a few emails of each type, it can generate thousands of additional dollars in revenue. So get started today. Start selling more windows through the power of email marketing. 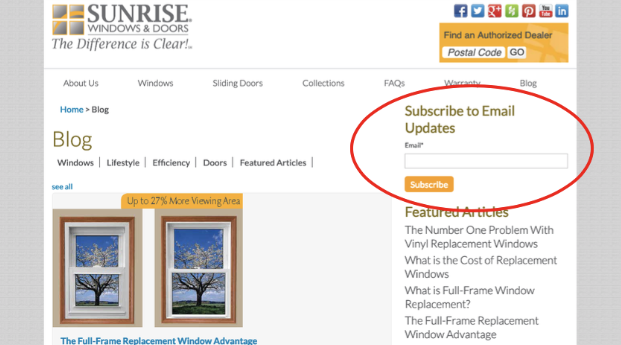 Window Professionals - Get the latests industry sales and marketing tips in our weekly newsletter. CLICK HERE to sign up today! Joe Mills is the Director of Marketing for Sunrise Windows & Doors. He has spent over 30 years working with small business owners, helping them grow lead flow,close more sales and profitably fulfill. He excels at training home improvement business owners and their sales teams on how to create and maximize each opportunity to showcase their products and services to homeowners.